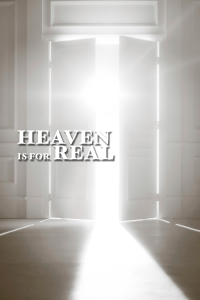 A recent popular movie entitled Heaven is for Real is probably well-intentioned, but according to some it taps into many modern errors related to death, judgment, Heaven, and Hell. We have discussed in the past on this blog some of the many modern errors related to these issues. To its credit, the Washington Post recently published an article allowing critics of the movie to speak of their concerns. Though no Catholic theologians were interviewed, the concerns and critiques voiced by the Evangelical pastors consulted for the article articulate fairly well that the movie Heaven is for Real, while often referring to Scripture, is a movie essentially rooted in popular culture, which has become unmoored from 2000 years of biblical tradition. Let’s look at some of the critiques in the article. As usual, the text of the article is denoted by bold italics, while my remarks are in red text. The full article is available here: Movie on Heaven has its Critics. I want to emphasize that my comments here are on the critique; I have not seen the movie. My remarks here are to affirm what the critique says, not of the movie, but of our modern culture. Heaven is not only “for real,” it’s pretty much for everyone in the new movie based on the near-death experience visions of a precocious preschooler. We know we’re already in trouble when a movie involving any theological speculation at all relies on the visions of a preschool student, even if a precocious one. The book was published over two years ago, and frankly, when I noted that it was based on the visions of a preschooler, it never occurred to me to buy the book, let alone read it or take it seriously. While it is true that children can have beautiful spiritual visions, the accuracy of those visions cannot be guaranteed, and surely they are in very childlike categories, which often lack important distinctions, etc. …the film jettisons doctrine. Instead, it celebrates an unabashed “God is love” view that goodness in this life gets you, your friends, and your family a crown and wings in the next. The essence of heresy is not the outright denial of all Christian truth. Rather, it is the taking of one or several teachings and emphasizing them to the exclusion of other teachings meant to balance and frame them. It is true that God is love. But we ought not set up a false dichotomy between love and God’s judgment of our final disposition in terms of His offer of love. Love does not mean that there is no accountability, no consequence, no judgment, no day when God will determine our final disposition based on our for regard for Him and the values of His Kingdom. Yes, God is love, and no one loves you more than Jesus Christ does. Yet no one warned you more than Jesus did about judgment and the possibility of Hell. Jesus did so in parable after parable, warning after warning. There are sheep and goats (Matt 25), some who are taken and some who are left (Matt 24:40), some who are at the right and called to the Kingdom prepared for them and others to the left who are told to depart into the flames prepared for them and the devil (Mat 7). There are wise virgins and foolish virgins (Matt 25), there are the merciful who obtain mercy (Matt 5) and those who are not and are judged without mercy. There are those who have forgiven and are thus forgiven by God (Matt 6), and those who did not forgive and are therefore not forgiven by God. There are those courageous souls who announced and lived God’s Word in chaste purity and fidelity, but there are also those who are on the outside, whom the Lord calls dogs, cowards, fornicators, liars, and so forth (Rev 21). The list could go on. And while there is something of a tension between judgment and love, to say that love cannot be squared with judgment is to set up a false dichotomy and to offend the testimony of Scripture. The same Jesus who loves us and died for us is also the Jesus who will judge us. And He says to us that the judgment is essentially in our hands; either we will love the light and will choose Him and His Father’s Kingdom, or we will prefer the darkness and will not choose the Kingdom. The modern heresy of universalism seeks to resolve the tension between God’s love and justice by choosing love and discarding justice. And yet part of His justice is to respect the freedom of our choice for or against Him and what He values! The heresy of detaching God’s love from His respectful justice turns His love into a doting, fawning, inconsequential love. It is a one-sided love in which God calls the shots and our own stance really doesn’t matter. But of course this is not really true love; it is a kind of paternalism wherein we never really attain the glorious freedom of Children of God because our choices never really mattered anyway. Pay attention, fellow Christians! Modern, “cheesy,” sentimental notions of God’s love are unbiblical, beneath the dignity of God, and also beneath the dignity of the human person. At the heart of our dignity is the fact that we have real decisions to make, decisions with consequences, decisions that actually matter. Yes, God is love, but that love requests, respectfully, to be loved in return. It is a love that respects our freedom, and while seeking our “yes,” is willing to accept our “no.” Only then does our “yes” have true meaning. Heaven is a real place, not just a concept…We just wish many people would go to the Bible, rather than the cinema, to find out what heaven is. This is well said; Heaven is a real place. Heaven is not just some “designer” place; Heaven is the Kingdom of God in all of its fullness and with all of its values lived perfectly. And frankly, many of the values of the Kingdom of Heaven are not popular today – values such as chastity, love of enemies, forgiveness, generosity as opposed to greed, etc. Heaven is not just some egocentric place of our own design. It is the place where we will see God, as He really is, in all of His justice and mercy. Reducing Heaven to merely sentimental notions such as mansions and streets lined with gold, nice though these things seem, is to ignore the most essential aspect of Heaven. The heart of Heaven is the encounter with God, in all of His glory and in all of His truth. Heaven is also very liturgical, resembling to a great degree the Catholic Mass. There are priests in long white robes, candles, incense, a book, the lamb on the altar, hymns, praise of God, and so forth. Given the empty churches of today, many apparently find this vision less than appealing. While heaven books delight publishers with divine sales numbers, the afterlife actually isn’t a top-of-mind issue for many people: 46 percent told a 2011 LifeWay Research survey they never wonder whether they will go to heaven. But it’s unknown whether they are unconcerned because they already feel sure of their ultimate fate one way or another. And here’s the ultimate harm of heresy: it has God’s people locked in the clutches of evil one. They have bought into his lies that Heaven is a done deal, in direct contradiction of Jesus’ words that we must endure to the end in order to be saved (Mat 24:13). We must grow in virtue and struggle to be free of sin. The sin described here is one of presumption. It is sin against hope; for who hopes for what he already has? Hope is confident expectation of God help. It is a good thing to be confident, but it is the kind of confidence that summons us to battle, not to the sofa or to the victor’s box before the race is even run! The indulgence of the heresy of universalism means that many do not take their own battle seriously, nor do they battle seriously for the souls of others. The result is that many souls are likely lost. Hence according to the critique, the movie seems at best flawed, at worst harmful. For though it draws from Scripture, it does so selectively, and uses as its main source a preschool child and the popular imagination of heaven, which has been unmoored from 2,000 years of Christian teachings. Given the tenor of some of the comments rolling in let me repeat what I said above: I want to emphasize that my comments here are on the critique; I have not seen the movie. My remarks here are to affirm what the critique says, not of the movie, but of our modern culture. Thank you for this article. I saw the movie and I read the book. In the book it is clear that not everyone goes to heaven. The movie had a lot to say about God’s love for his people. For that reason alone I’d recommend the movie. The book is a short easy read and I’d recommend it as well. Yes, I saw the movie, but also read the book – and went back and re-read the book. Colton Burpo repeats the statement several times, that you must be with Jesus, to be in Heaven. The book does not have the incident in the graveyard, none at all of the lady and her opposition. I do not know if this came from the moviemakers interview with Todd Burpo or if they just interpersed it in the movie. You really should have seen the movie instead of relying on a liberal, unchristian press to guide your thoughts about the movie. The fact that you have not even read the book and further to my belief that you have no business writing an article about a topic you choose intentionally to know nothing of. You summarily dismiss the child’s experience “out of hand” , and impose your perceptions regarding universality as though they were present in either the book or movie, which they were not. Perhaps it is your Faith and your understanding of Heaven that is lacking. I think as I make clear my comments are focused on remarks in the article and wider misunderstandings about the four last things in our culture. The movie is a remote backdrop. My remarks are a commentary on an article that was of interest given the numerous discussions we have had on the blog regarding universalism. It was good to see protestant clergy raising the issues too. Despite your rebuke I still do not think it wise to focus our view of heaven based on the visions of a preschooler and that our best source of this topic remains the scripture and 2000 year Tradition of the Church, not pop culture. Sorry this has angered you. She details the other road as being a narrow path with rocks and brambles and the people picking their way along this path fell, cut themselves etc…but in the end they reached a magnificent garden with all sorts of happiness where they immediately forgot their sufferings. Saint Faustina’s visions were certainly not those of a preschooler. Amen to Msgr. Pope’s article. I was thinking the same thing regarding this movie. People love to have their ears tickled with whatever suits their fancy. Meanwhile, Scripture tells us to work out our salvation with fear and trembling. We want the reward without the sacrifice. During Holy Week, we got the same sentimental claptrap of emphasing feeling sorry for Judas and his mommy. We also we told that our sins did not nail Jesus to the Cross. True, He willingly took our places but did we have no role in putting him there? Crazy stuff.. I also have not read the book or seen the movie, but I would like to comment. 1). A child can not conceive of heaven the same way that an adult with a well-formed conscience can. As a child (12yo), after my mom died, I somehow got the idea that God needed a nurse in heaven, and I could live without my mom, so he took my mom rather than someone else’s. That is baby faith–trusting that God knows what is best, but making up the back story to fit a 12 yo mindset. As you say, young children can have beautiful visions, it is filtered through a child’s mind. Ultimately, we can only discern visions by their fruits. If this vision leads the child to Christ and to detest sin, then we can be sure that it was from God. However, we all know that other spirits can come masquerading as angels of light. 2). A Lutheran pastor once told a Bible study group that I was in that if people didn’t ultimately go to heaven, then they could go to a place where they were “naturally” happy–meaning they would have all the good natural things, but they would not be in heaven. At the time, I found that a relief, but as I have properly formed my conscience, I don’t think that what he said had any truth in it, but even if it does, I would say being “naturally” happy would look a whole lot like Hell to someone who is in heaven with God. 3). There is a movie called Dogma, while not exactly spiritual, it identifies “buddy Jesus”. A bobble headed Christ figure giving you the thumbs up. I think this is an appropriate image for how many people view God. 4). Believing that everyone goes to heaven, is so easy. I want it to be true. I want my family to all be in heaven, but I do not come from a faith-filled background. My family were “good” people, but they did not do anything to follow God. Most didn’t go to any church. I can pray for them and hope for God’s mercy, and pray that there is a purgatory, where we can all be cleansed to ultimately be ready to be in the presence of God. Leave it to Hollywood to ruin a perfectly good book. That’s just my general opinion. I read the book and though do not recall much of it, I liked the part about trying to figure out what Jesus looked like. I beleive the kid saw something. No clue what it actually was – an ante room, a vision, a dream? Guess we’ll all get the lowdown on that should we make it to Heaven. That book won’t win converts any more than CS Lewis’ (brilliant) Mere Christianity will. God has to call you before you can hear Him. If He has called, you won’t be looking to books like that for guidance anyway. It would be like eating a spritual Tic Tac instead of a Lamb. I agree with your blog about the problem of “universalism” in this film, BUT I do not wholly agree that there should be an issue of a young child as the deliverer of the message. I think God has entrusted young people in the past, as was the case with Lourdes and Fatima. Sometimes children may be the best messanger as they have the innocence that can help authenticate and may not have the corruptive nature of adults. You write a fantastic blog — keep up the good fight — Alleluia. Thanks. As regards the apparitions of children, your reference to Fatima is duly noted. However, I think to some extent it is the exception that proofs the rule. In other words, the apparitions of these children, and I’m not sure that at least two of them were as young as this preschooler was, certainly had to be squared with church teaching and carefully vetted by the church. Pop culture does not have such mechanisms in place. Secondly, and more importantly, little children are not the source of church doctrine. What they say may tend to reflect certain church teachings, but they are not be considered a kind of source for us. So my essential point, I think, remains. Namely, that scripture and sacred tradition should remain our guides in these matters, and that the utterances of little children, especially as young as five, ought not be given undue importance. Heaven is real, mot because a five-year-old saw something, but because God reveals to us and teaches us of its parameters. Near-death experiences whether of adults or children seem rather murky as a source for me, and it has always puzzled me how so many people are getting these grand tours of heaven, without ever having gone before the judgment seat of Christ. This seems to my mind to contradict Scripture which says that it is appointed for us to die once and thereafter face the judgment. Here too, there are exceptions, such as St. John and St. Paul who seem to have been given some sort of a vision of the heavenly realms. But they of course were given this vision so as to reveal it to us, in other words, they are a source of revelation. Good morning, Father. The thing to remember about near-death experiences is that they are by definition not death experiences. It may be interesting to speculate about what these experiences are, if they are any one thing, but it is not necessary, and not necessarily helpful, to regard them as lucid perceptions of what lies beyond the threshold of life and death. Those that have these experiences often seem to receive a tangible grace, in so far as they change their way of living for the better as a result of their visions. That actually undercuts the universalist view, in a way, suggesting that what is received is a vision of possible grace, for the sake of which the recipient must make changes, and not the inevitable reward for what in many accounts has been, prior to the crisis and vision, a spiritually indifferent mode of life. An individual’s apprehension of the possibility of grace is not the same thing as a grand tour of heaven, as you say. I know that in my life I have received visions that were both exceedingly bright and exceedingly dark, and that both bright and dark seemed completely true. And they have been very helpful. My subjective experience in life, the way I feel myself, is as a mostly well-intentioned, slogging, mediocrity. My life is configured around service, but there is a sense of tenuousness and uncertainty about what, ultimately, is being served. Good intentions are no proof against error. Pride can thrive anywhere on earth. The one thing I could not do without is the understanding that God holds all truth, that there is a fact of the matter, and that in God my mediocrity, the homeliness of my good intentions and efforts, my frequent errors, all these things are completely clear, visible in every atom, and will be judged. I don’t feel any confidence in or hope for a child’s vision of heaven, but I find the promise of truth beautiful and comforting. OK, but all the more reason to not uphold NDEs as what pop culture says they are. I am not saying they got a grand tour of heaven, I am saying they likely did not. But Pop culture says they did. And while there may be some subjective evidence that this brings conversion to some who have NDEs, the common good may likely receive more harm than good here since we are no longer looking to the objective revelation of Scripture which warns us to be ready for death and judgment. Instead, we are looking to nice little trips to some heavenly realm all in soft focus where we meet nice people. I am not sure that NDEs assist us in this attitude with all their usual “soft focus” – At least the ones that make it into pop-culture. It sounds like to me, Monsignor, that only Fr. Scheier had an authentic experience, as he did end up at The Judgment Seat and was sentenced to hell. Our Lady interceded and he was allowed to return to his body. I’ve read that others went straight to hell, but were never judged, if one has to be judged first, then I would also count those as not authentice. We went to see this movie over the weekend with our children and thought it interesting and believable. I’ve read some other near death accounts but none as vivid as this little boy’s. The fact that he meets Jesus, his grandpa and a sister who was miscarried lent credibility. His comment about “they don’t look like that” made me smile. This is a feel-good movie but I never once got the impression that everybody goes to heaven. However, the discussion afterwards was about the need for another movie called Hell is for Real. While I had some “problems” with the book ,one of them was not believing that it implied everyone goes to Heaven.The young child is painfully aware that many do not! Commenting on articles not read and movies not seen is risky business , at best . It makes it very difficult to speak in anyway knowledgably about the subject. God is Love and His love is not revocable ,however , our ability to reject that love is a very real choice! My ‘comments’ were actually not in reference to anyone discussing what someone else said. To make it more clear , I think you should read the book or (and) see the movie before you speak about it’s (supposed ) content. Hey man, you Bob Dylan or what, man! They’ll stone you when you are all alone…everybody must get stoned! I read the book. It was a fun read, but I looked on it as fiction. We have dad’s account of what happened, and it was all in the light of his religious beliefs. As a Catholic, with a myriad of Saints who have been granted visions of heaven and hell, this account sounded like a fairy tale. I am sure this child experienced something. I realized it was really a fabrication when there was no mention of the Blessed Mother except as an aside at the back of the book, like, oh yeah, She was there. Maybe this was a taste for a child to comfort him during a horrible ordeal, but I wouldn’t put too much stock in it. Yes, heaven is for real, we already knew that. I am thinking many won’t make it there and it won’t be anything like this child experienced. There would be no frame of reference to describe it. I took my family to see this movie because of an interview that Raymond Arroyo (The World Over report) did with the director – Wallace was his name. The interview is available to view on YouTube and is more worth your time than the article that was done by the Washington Post. Dear Msgr, I do agree . Nonetheless, you quite often speak of Judgement and the reality of Hell ( this is a good thing, don’t get me wrong), but I would have much preferred an article about Divine Mercy Sunday or about yesterdays new saints. So many people don’t know about this important feast and I really wish you would have written about it (and its connection to St. John Paul II who was canonized yesterday. Have you ever read Sr Faustinas diary where she describes hell? Chilling. But anyway, your concerns are noted. I try here to pull in the other direction since so few talk about judgment and the need to be ready. IOW what you ask for is available in abundance. Thus i am the balance or at least seek to be. Mercy is beautiful but unnecessary in the modern universalism heresy that so permeates. Hence emphasis on judgment shows mercy for beauty it is for those who know how they need it. You are right Msgr Pope – you re-present the standard so that people in their intoxication do not drift too far to the right or to the left. Thank you for holding the ground. By the way Nick, I didn’t write on the topics you thought I should because I figured many others were and doing a fine job. I’d rather not duplicate the good work of others. This blog site is less a news site and more a commentary on culture, and its intersection with faith, the Church and Scripture. I thank you for posting this. I didn’t realize that the trend to think that everyone goes to heaven has a name (universalism). I remember being annoyed at, when my mom passed away a year and a half ago, how many people remarked that, “Oh, we all go to heaven,” and the like. I know they meant well and were trying to console me, but I didn’t share their sentiments. (More for their sakes, not my mom’s — she died with the sacraments and the hope of heaven as we have as Catholics.) If we all go to heaven anyway, then what point did Jesus have in dying for us on the cross? And why “be good” here on earth? Anyway, also around the time of my mom’s passing, someone gave me the Heaven is for Real book. As a Catholic, I didn’t find anything in contrast to Church teaching — it would make sense that a 4-year-old would go to heaven, if he was baptized, as he hasn’t yet reached the age of reason, right? Keep in mind that it’s a story written by a Protestant, so of course he is going to perceive everything from a Protestant point of view. There could be some elements of truth there. We’ll never know for sure this side of heaven. BTW, love your funeral sermon. So many times I’ve seen/heard someone canonized at their funeral service, or made into an angel. Nice to finally see someone tell it like it is! God bless. Book is very good. Haven’t seen the movie. Please keep in mind good Father that many who have read the book haven’t darkened a church’s doorstep in a long time. Many can’t grasp Scripture or Catechism for lack of will, time, and attention. If this book or this movie sets them on the path toward righteousness in Christ, then it is a very, very good thing. There are many that churches cannot reach that popular culture can. I love your blog and read it regularly. I think much of the conversation surrounding this movie and book speaks NOT to the book, or to the movie, but to the insecurities and anxieties people have regarding the possibility that this may have occurred. Insecurities galore seep out of the woodwork when something like this is claimed. Caution is a good thing, but a caution open to the wondrous creativity of God. If we, in charity but not in gullibility, take this experience for what it perhaps was — God showing a 4 year old what he needed to see, and could understand, of the unseen spiritual realm — it is actually quite profound. If we want to take every possible detail of his experience as a profound commentary on Church doctrine, we’ll miss the point I’m afraid. For example, that Colton would know, without anyone telling him, that his mother miscarried and, moreover, that his parents didn’t name the child, is astonishing. But more than that, and this comes across well in the movie, his words bring healing — they get right at the heart of the unseen, unspoken wounds of his mother and bring healing. The entire focus of the movie is along those lines — that God sees the wounds that even we sometimes don’t see in ourselves and, with a few words, can bring them to light and heal them all at once. And there are challenges for someone from the Wesleyan background. In the book, Colton shares that he saw the Blessed Mother. He is not Catholic, but what he sees is in accord with Catholic doctrine (she is standing at the side of her Son at times, and at other times kneeling in adoration). Finally, in the movie, his father comes to an interesting conclusion which echoes what I understand of the Church’s teaching on how to view the revelations of mystics. He concludes that his son saw the vision of Heaven that God wanted Colton to see. A false version? No. A complete version that give us an exhaustive view of all that Heaven is? No. A glimpse that would be relevant to Colton and those closest to him, and that would enlighten, challenge, and help heal those who hear of it? Yes. Our Lady of Fatima does not look like Our Lady of Guadalupe, who does not look like Our Lady of Betania. All are approved apparitions of our Blessed Mother. But they don’t look alike. How does the Church reconcile this? Pretty much the way Colton’s father did. Were the visions true? Yes (in his estimation). Were they to take the place of or correct Divine Revelation? No. Are they meant to be an exhaustive systematic theology of all things Divine? No. Do they help some folks to believe and live out the Gospel in these current times of doubt, when the spiritual realm is dismissed as a fairy tale for weak-minded people? Yes. If we take it for what it is, it is a beautiful testimony of God’s grace in our times, of how He is attentive even to the most intimate details of our fears, hopes, anxieties, etc. Of how He meets us where we are at. And there is nothing in the book the flatly denies or overturns the Christian faith in general. Jesus showed him a multi-colored horse? Why? Who knows, but the kid was 4 years old, for crying out loud. I’d probably show him a multi-colored horse as well; it’s cool! Do we need to draw deep theological conclusions from this, parsing how this might, if taken to its utter extreme, possibly lead to a view that is heretical? Of course not. I think the temptation is to over-think this too much. Now, if Colton were to say that Jesus told him that he wanted a Cathedral built on the site of the hospital and wanted the Pope to declare a new worldwide devotion to multi-colored horses on the second Sunday of Easter, we might have something to be concerned about :-). I do recommend the book to people who are dealing with bereavement. The children’s version has wonderful drawings with passages from the Bible. My wife and I saw the movie yesterday. It was very touching – able to elicit spontaneous emotion tied to spiritual realities which are present in each of our souls (yet, seemingly inaccessible at our own willing). I am not at all concerned about the portrayal of the idea that a 4-year old boy, such as this boy in his apparently very good state of grace, could be treated so favorably and compassionately by God. I recommend the movie and hope that parents will take their young children to see it while at the same time reminding their children that while God is infinitely good and tender-loving, He is also Just when it comes to those who are bad. It’s been a while since I read the book, but I came away from it very unconvinced. First of all the facts which the boy so-called related really have no proof of authenticity, nothing was really revealed to this child that couldn’t have been added by the knowledge of the parents. There is no proof that they came solely from the boy. Second, when I read such accounts I am always perplexed that the truths of the faith given to us by Jesus Himself, such as, the great gift of the Eucharist, grave sin, lesser sin, free will and purgatory and Hell, the priesthood and the gift of confession and like you said the heavenly worship which is the Catholic Mass and, although he said he saw Mary kneeling at the foot of the throne, he came away not knowing the gift given to us in the Mother of Jesus and Her role in salvation history, Her role as our Mother too, the one who will crush the serpent’s head? Why would these truths be hidden from anyone being sent back to live out their salvation in a world where evil abounds and our free will needs to be shaped and influenced by the Truths of Jesus Christ? A non-Catholic coming back with these truths would indeed give me more reason to believe it could be authentic. I’m not sure if someone being “sent back” would have their particular judgement. I guess they really should being that they got there through death as opposed to someone being shown Heaven, Hell and Purgatory as many of the saints were. There is a priest who was featured on EWTN once who claimed to have a near death experience except his experience was that he was at the judgement seat before Jesus who condemned him to hell because he was a priest for himself and not for God. He said our Blessed Mother came to his aid and pleaded for his life before Her Son who then put the priests life in His Mother’s care. So I guess these kinds of experiences which can never be authenticated, to hold any credence should always ring forth the truths of Jesus Christ as seen in the Gospels and also in oral Traditions. Could it be that possible that it all goes back to Jesus’s position about little children and the Kingdom of Heaven? Some distinctions are needed Dylan you are sbsolutizing her point and so fail to understand it. Dylan, my point is this, it doesn’t matter if the near death experience is from a child, which this one happens to be from, or from a teenager or from an adult, if the person, child, teenager or adult, especially if they are non-Catholic, does not come back with a better understanding of at least some of the great gifts of the one and only faith given to the world by Jesus Himself, most especially the gift of the Eucharist, the role of the Blessed Mother, two very big stumbling blocks for non-Catholics, then I would be inclined to question it’s authenticity. Why would God not reveal SOMETHING that would help to lead this person or their family or friends or whoever to the absolute FULLNESS of the faith, the Catholic Church? I do believe God works through people in small ways as well as extraordinary ways. I believe in miracles. Children are filled with innocence and simplicity which allows them to have a trust which leads to authentic faith. They can also believe very sincerely that monsters live in their closets or under their beds. Some even have imaginary friends. Reason and truth go hand in hand for children as well as adults. I often think of the scripture passage John 14:2 “In My Father’s house there are many mansion” and wonder if there will be a different grouping in heaven. I can’t imagine that a faithful priest, bishop, pope should not hold a much higher place in heaven than someone such as myself. To whom much is given, much is expected and I would imagine the reward would be greater. How then would that relate to those gifted with the fullness of the faith and those who are not or those simply gifted with faith and those who have not been given the gift of faith? Donna, very profoundly said. Thank you so much. How I wish the Eucharist was fully embraced by all. I read the book and saw the movie at the request of my 10 year old son. It was a fine movie for families seeking clean entertainment. Does scripture say that “many will be lost”? Or does it say that many are on the road to perdition? Of coures, if many are on the road to perdition, then many will be lost–unless they repent, and leave the broad and easy way. How many of the “many” on the road to perdition refuse to leave the broad and easy way, we do not know. All of Christ’s warnings are to call us to repentance. Yes but the text says few find it. Again, we don’t have percentages here, but some degree of greater respect insobriety for this text is necessary, and we currently show in the modern age. Many and few words that have fairly clear meanings. In the end, I am calling for sobriety here, not for depression, despair or panic. Jesus clearly said these words with a heavy heart. One thing is clear, her sobriety should lead us to extensive urgent and persistent work, I work with Universalism surely does not inspire. Humanly speaking, nothing is more likely than that we keep to the broad and easy road; “sin speaks to the sinner in the depths of his heart”; we harden our hearts against the promptings of the Spirit and the call to repentance; the path of salvation is the way of the cross, and no one wants to die to self. But all things are possible to God. To the best of my knowledge, Scripture is silent as to ratio of the saved to the damned, and this silence is an aid to us, that we be led neither to presumption nor despair regarding our own salvation, or any one else’s. Suppose it were revealed that 90% are saved; then why worry? Chances are my neighbour and I can get to heaven without any efforts on my part. Suppose we knew that 90% will be damned; then why make any effort to convert sinners? Almost all of them will be damned no matter what I do. For that matter, why make any effort on my own behalf? Chances are I’m damned whether I try to be saved or not. Or suppose we knew it was fifty-fifty; would that spur on our efforts? Not likely. My neighbour has the same chance of getting to heaven as me; why put myself out on his behalf? And why struggle to keep the commandments myself, since I’ve still got a fifty-fifty chance even if I continue doing what I’ve always done? No, it is better not speculate where Scripture is silent. Better to focus on what we are told: few are on the path to salvation, many on the road to perdition, repent and follow Jesus; having asked for the grace of conversion, strive to convert other sinners, since if they repent, they can all be saved; but with no one calling them to repent, they will all be lost. I did read the book…but I found his version of heaven, was the same I was taught when I was a little Protestant child in Sunday School. But as our minister was unable to answer my questions, I turned to the Catholic faith when I became an adult. There I found my answers. today, be a critic .. if non believer comes to believe there is a heaven, a good start and let the Holy Spirit intervene. PS, a Active Catholic for 60 . Universalism is a very real danger. Thank you Msgr. Pope for being the ever vigilant watchmen, giving warning to those who would otherwise continue on in their self imposed ignorance. I never felt any part of the movie was contradictory to what we teach as Catholics. If anything, I saw it as showing the weaknesses of Protestantism more than anything. I told a fellow parishioner who saw it with us that the idea of a spiritual world and angels is nothing unusual to us. It is also arguable that what the kid saw was Purgatory and not heaven itself. But the interesting thing about it was that the dad in the film was the main preacher and his congregation started to shy away from this whole idea about heaven. People started to not show up at his church (in the film). I thought to myself that it is wonderful that we don’t have a Church that is based on the personality of a preacher but on the miracle of the Eucharist. Very true, Ray. Watching that church from week to week was painful, because the preacher was feeling his way along and taking the “flock” with him. He didn’t seem to have much formation (that’s besides the whole faith struggle, which is understandable). To think that there is so much in-depth theology and philosophy at his fingertips, and yet he just does a google search on near-death experiences. Thanks everyone for an interesting discussion. At the end of the day, I am glad of the opportunity to keep before us all what I consider a critical topic for times like these. Agreed. But I am not sure how you are applying this to the discussion. Surely you do not think love cancels justice? Of course love is greater than justice and surpasses it, at least as a human concept of it would suppose. Yet with God, justice and mercy are alike. They do not compete and one does not eliminate the other. Would you agree with that? Or are you trying to resolve the tension we humans experience by choosing one and being rid of the other? I’m glad a man of God like Monsignor Pope is discussing theological relevance of the accessibility of Heaven through our Lord instead of inane political junk that I’ve seen other writers delve into. The kingdom of God should be every Christian’s worry instead temporal secular junk that gets no one anywhere but down the well worn path that Christ warned us about. Amen Mons. Pope. Preach on. I wonder how many people will run to see a movie called “Hell is For Real Too”. Having read the book, I was very surprised, Msgr, at your ‘dissing’ a preschooler. God often uses children, and we are to become as children, for such is the kingdom of heaven. I agree with others here that it isn’t that much different than the children of Fatima. They never recanted their story and to this day Colton stands by his (of course, now he is a teenager). Colton had credibility in several ways–the way he knew things that he couldn’t have known otherwise, for one; and when he said that Mary was right beside Jesus at all times. If he was making things up, as a protestant, he would have not known to include that. I just think it’s dangerous to say that what he experienced couldn’t be true, just because he was a child. Our God is pretty big and he can work through anyone and anything to bring people to Himself. If this book/film gets even one person thinking more seriously about the after-life, then God has used it. By the way, as to doctrine: I was raised the daughter of a Wesleyan minister (same as Rev Burpo) and can attest that Wesleyan doctrine is not that far off from Catholicism; it is much closer to Catholicism, than, say, Baptist or Pentecostal. (I converted at age 37 and eventually got a master’s in Catholic theology). So before God, always “like” little children, but among one another maturity, growth, and the gray hair of wisdom. i read the book twice. This little boy at 3 not 4 suffered a terrible and agonizing time with an undiagnosed ruptured appendix and came very very close to death. Interestingly,another 3 year old Akiane, born to an atheist mother, began experiencing visions of heaven. At age 8 she painted the portrait of Christ titled Prince of Peace. Her parents became believers in Christ, because of their daughters visions. And to this day, Akiane continues to paint with a skill far beyond her years. What doe this have to do with little Colton Burpo? 6 years later, after his father had shown him literally hundreds of pictures of Christ, gets an e-mail with a link to Akiane’s interview on CNN. He sees the painting of Prince of Peace, calls Colton who looks at it quietly for quite a few moments turns and says “This is Him, the face of Jesus. His Dad was extremely careful not to lead Colton or ask him too many questions. One he did ask, after Colton had described Christ, was what was He wearing. Colton replied and added Dad, He had markers” His Dad asked Him, already tearing up, where they were and Colton held out his hands and pointed to His feet. i don’t find the book as anything but a Dad’s attempt to encourage others to begin their walk with Christ-period. Forgive the comparison, but there is an inspiring, disarming quality about this movie that reminds me of the effect Pope Francis is also having on our culture. Just as the appearance of Pope Francis on the world stage has arrested the world with a fresh hopefulness that seems heaven-sent, so too this movie. I have no disagreement with the dogmatic observations of Msgr. Pope…but there is a spirit of light, openness, and freshness that emanates from the appearance of both Pope Francis and this (admittedly apologetic Evangelical) film that I find refreshing and seemingly God-inspired. The spirit of hope people seem to receive viewing both Pope Francis and “Heaven is for Real” may be fruit of the Spirit for both the Church and the world at this particular moment in our history. Like the holy Pharisee Gamaliel, I think we should keep an open mind and heart as we take note of the many signal graces sent to us from heaven. Hell in its very essence is the eternal loss of God. We choose whether we wish to be with God or not. I think it’s a mistake to believe that God consigns people to eternal suffering because Hell is a choice people make for themselves and far too many make it. Universalism is a false doctrine. I was unable to get the book from my local public library since there was a long waiting list for all copies. I s’pose I could have been more diligent but, don’t have a lot of available time for such. One impression I got is the long time period (which I get the impression of there being) between the incident and the finalization, in the book, and am left to wonder how much the child’s perception was changed, during the period of time, by the doctrine of the particular church which his family is involved in. They may have inadvertantly created some distortion during that period with pre-conceived notions. Not sure why I was led to wait until this would be further (but not fully removed from) public scrutiny. The movie is based solely on the book. Just so you know, Heaven IS for everyone! Not everyone will get it, but it is entitled to everyone! What is wrong with everybody?? I am both disgusted and astounding, that an entire world of people claiming to “know God” has trouble believing that he himself (God) would allow a child a glimpse of heaven! God is love, and he can do Anything! He has a purpose for Colton. There are many who will make it to heaven! Some will not, but the book nor movie claim that everybody goes. It only implies that everybody has the gift of heaven if they want it. God sent his only son to die for us so that each and every one of us could have a shot at eternal in heaven, with him. We believe his word. We believe that we have to accept Jesus as our Lord and Saviour, but we don’t believe that he let a little boy see heaven? Shameful! When you actually get proof of his exsistence. Up until then, it was easy to believe in the concept of God and Heaven, but scary when you’re told it’s all real. Go read your bibles, and pray that you will have a place in heaven beside our father. Stop nitpicking what happened to this amazing child!